Come Birthdays or any other Special Occasion, choosing and getting that perfect designer dress seems like a daunting task to most of the parents. Every parent wants the best for their little angel and here a parent needs to be aware regarding what is available and what is the best dress that they can buy for their little girl. A huge collection is available on the web making it a lot easier for you to choose a good one for your little princess. Kids Dresses in lace are so timeless and classic you need not be worried about them going out of style. Dresses in pure silk are very chic and are meant to be worn for all those special occasions. For a light and airy feeling one could choose from a variety of chiffons and georgettes. For that rich and heavy look velvets are a good option. Designer dresses for kid girls are definitely a preferred choice to many a discerning customer for their cut, style, fit and elegance. One of the most pre-requisite things that one needs to keep in mind while buying kids wear is its fit and comfort. Choose dresses with cotton lining so that your little girl is comfortable wearing it. Choose zipper backs for they are easy to wear and remove. A tie-back sash ensures a good fit overall. The dress you choose should be classy and trendy. You could try halter or strappy styles. As these neck lines are different this could really pep up your little girls wardrobe. Dresses with rosettes on them are very chic to look at. Try out smart casuals like corduroys or sheath dresses. Dresses with balloon hems are totally in trend. Silk dresses will always remain as a staple in special occasion dressing. While choosing Kids Dresses for your little girl only style or trend should not be the priority but comfort is also very important. The dress should be designed in a way that your little princess can slip in and out of the dress with ease. A zipper closure helps a lot in easy off and easy on dressing. Tie-back sashes help a lot in getting the right fit even if the dress is a bit on the larger side. The innermost lining if made from cotton sure goes a long way in ensuring that your little girl is comfortable throughout and doesn’t get hurt by the outer fabrics. Parents! It’s time to get over the typical old thoughts of buying over-sized dresses for your babies. Always buy a well fitted dress especially when it comes to your little girl kid. It doesn’t mean that you compromise her comfort, No way! You should choose a perfect fit with all the comforts. What a person wears is the first thing that defines a personality and wearing a perfect dress will add confidence to them. How can anybody forget about accessories while choosing for their baby girl kids wear! 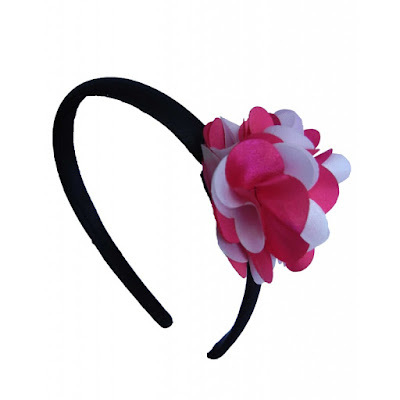 Accessorize your princess with the right head band, bags, bracelets, matching belly shoes and other accessories. A well coordinated and accessorized child stands out in any crowd. Happy Shopping! Faye is an exclusive kids Dresses Label in India. Faye offers Chic & Elegant dresses for your little girls aged 6 Months to 10 Years. Faye baby dresses transcends traditional realms - it’s whimsical, playful and most of all fun to wear!